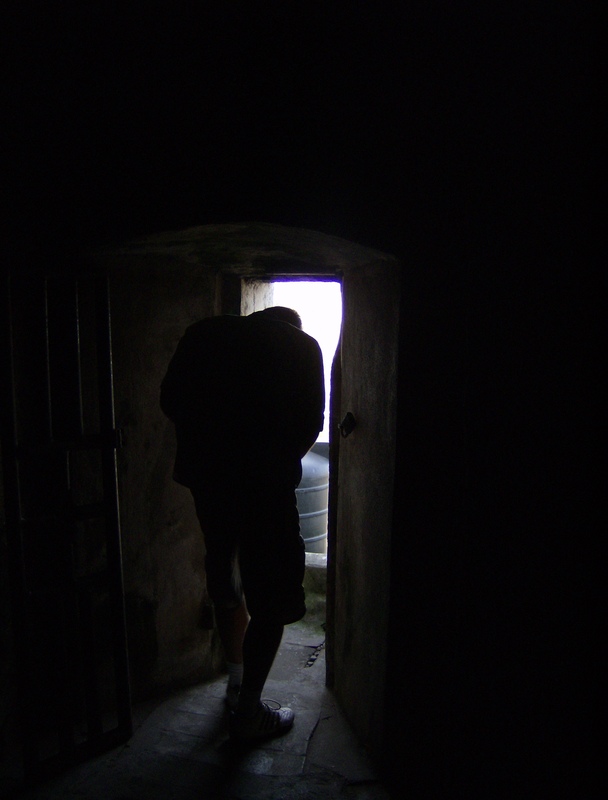 In the Elmina slave castle in Ghana, where men and women were held in hellish prison cells waiting to be shipped to the New World, there is a room my friends and I were taught to call the Room of No Return. There is a door out of this room where people were herded out to the boats, a one-way door. I have been thinking a lot about death lately, and I have been thinking about the one-way door. Isaak Kornelsen’s death, and the cycling town hall it inspired, got me thinking about how a death resonates with the people left behind. Does it change the way they see themselves, the world around them, I wondered? Or does it just make them pay attention for a moment? And after that, I kept coming back. I interviewed a forensic entomologist in Vancouver who explained how insects can tell stories for the dead: the age of flies in a body can date the time of death, the species mix can tell you the location a body was moved from, and the blood in an insect’s crop can tell you who… well, who they were eating. After that, my friend Alison and I organized a Shareable Neighbourhood walk to explore nature’s cycles of life and death (it hasn’t happened yet — that’s this Saturday). How do the trees and animals around us cope with the long, cold, winter in this climate? Which ones die, and which ones hang on, and how? I’ve been trying to piece together why I’ve been drawn to these ideas lately, and the best I can come back to is the door. As JK Rowling showed so painfully in Harry Potter, death is at least a one-way passage for knowledge. We can never know what lies on the other side: a long drop and a short stop, or an ocean of possibility. What does it mean to pass through a door with no hope of return? With no knowledge of what comes next? We know, of course, the grim life that lay on the other side of that particular door in the slave castle. But what if we were presented with such a door today, with no knowledge of what lay on the other side, and had the choice to take a one-way journey through it? Would we take it? I watched the movie Solaris tonight, and it certainly asks this question. I think many great science fiction movies do, actually. Characters are presented with the choice to step onto an unknown, possibly transcendent, and possibly fatal path. There is no turning back. I always get a tingle when they do. Many of us live our lives with some certainty about the one-way door. It brings many people comfort to think that heaven lies on the other side, that all of our pain and wrongs will be erased and we can join the people we love again there. Others are just as certain that all that’s ahead of us is a future as a meal for insects. I don’t think it’s possible for us to know, no matter how many ghost stories I hear. But I think the answer we hold in our hearts matters. If you were certain there a chance of eternal happiness on the other side, what matters more than getting there? Live your life without sin, do some good deeds where you can, and make right with your Creator, and everything will turn out alright. But what if all that’s on the other side is darkness? For some, that might mean there’s no point to living well. For me, I think it realigns life’s purpose. If this is the only life we have, personal salvation doesn’t matter, but making this world better might. We may not have immortal life after this body expires, but we can certainly have an immortal impact on our community. If we are brave, we might embolden a whole generation after us. If we pay attention to our actions, we might make the water cleaner for our grandchildren. If we make space, new life might flourish in our footsteps.